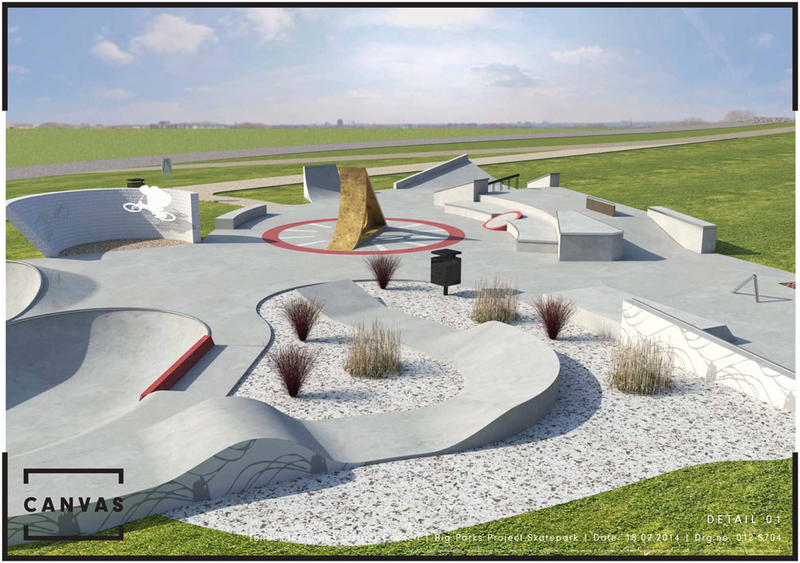 We are pleased to announce that the Skate Park designers CANVAS have been chosen to design the Zero Degrees Skate Park at the Big Parks Project. Thank you to everyone who attended the workshop and voted online for their favourite design. We will be holding two design development meetings on 3rd April for you to have your say on the chosen design. Meetings will be held in the Peacehaven Community School canteen from 3-4.30 and from 6-7pm at the council offices, Meridian Centre in the Anzac rooms. We hope to see you there but for now we’ll leave you with a little taster of one of designs that proved so popular with the skaters of Peacehaven.